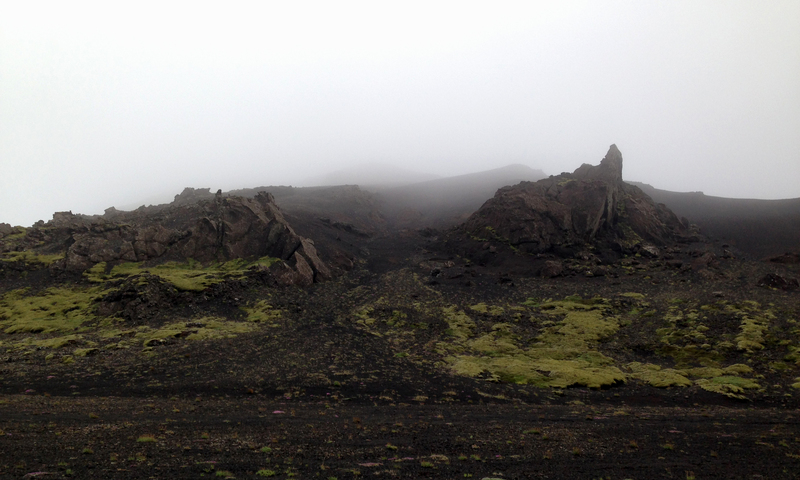 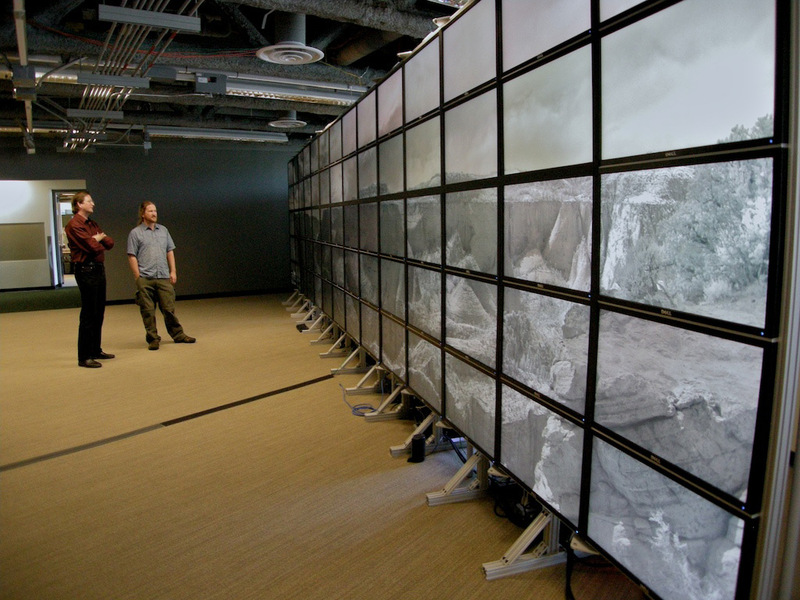 A standard way to view a gigapixel image is with a zooming interface on a conventionally-sized computer monitor. 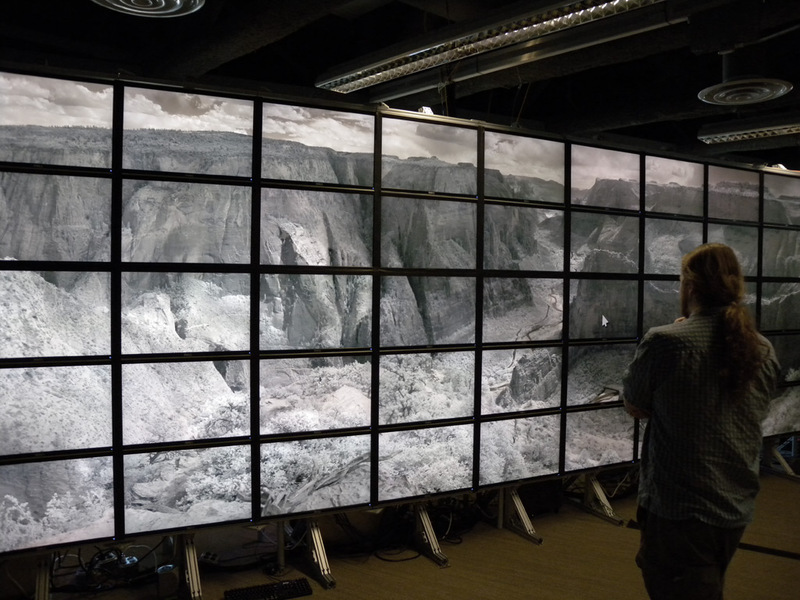 An alternative method, though rarified, is to display and span the image across a large mosaic of montiors arranged into a single grid. 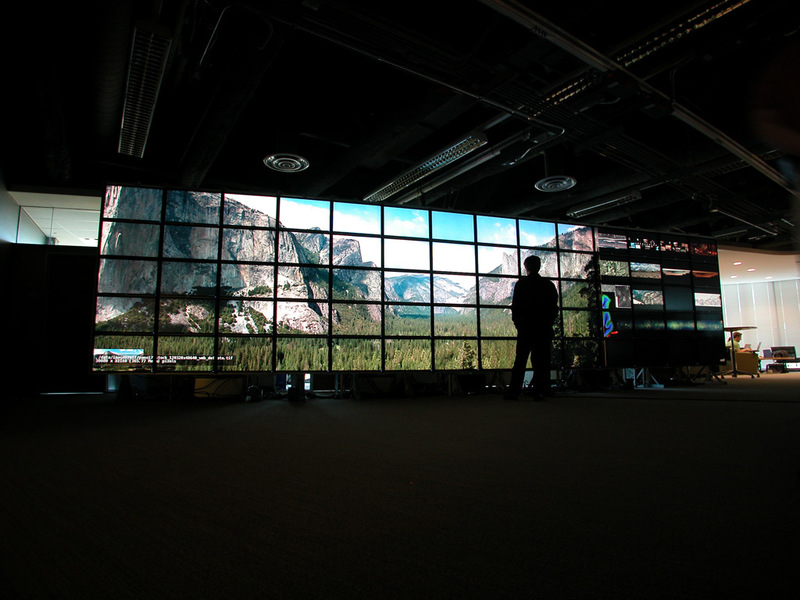 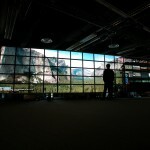 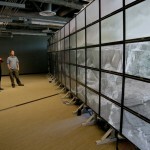 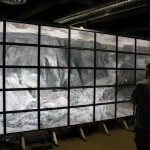 The California Institute for Telecommunication and Information technology, or more succinctly Calit2, has a large gigapixel display wall dubbed the HIPerWall, that xRez Studio has provided gigapixel images to for demonstration purposes.